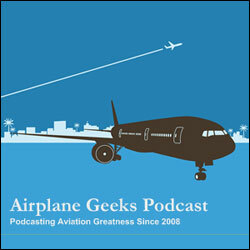 I was honored to be the featured guest for Episode 147 of the Airplane Geeks Podcast. I joined show hosts Max Flight, David Vanderhoof, Dan Webb and Rob Mark to talk airplanes and general aviation. During the episode I shared some of my thoughts on the troubling decline in the pilot population. When only 20% of those that start learning to fly actually earn their private pilot certificate it is obvious an issue exists. AOPA is dedicated to finding a solution and has created the AOPA Flight Training Student Retention Initiative which is a long-term, industry-wide effort dedicated to increasing the percentage of students who earn a pilot certificate. In conjunction with this program AOPA published the Flight Training Experience Research Report which identified 67 discrete attributes that contribute towards the optimal flight training experience. Four focus areas were identified by the study as needing improvements including educational quality, customer focus, community and information sharing. I shared with the Airplane Geeks my opinions on this study and how we can all help improve the flight training experience. We also talked about some of the great benefits that have come out of running this blog for the past seven years. Top of that list is all the great people I have met through the blog who have inspired me and having the opportunity to inspire a few of you along the way as well. As you would expect on a podcast about airplanes we also talked about some of the cool planes I have had the opportunity to fly or fly-in including the L-39 Albatros and the B-17 Flying Fortress. In addition to the contributions by the four U.S. based Airplane Geeks the show features a regular segment hosted by Steve Visscher and Grant McHerron of the Plane Crazy Down Under Podcast. In this episode they have a special guest of their own Stephen Force of Airspeed Online. Also contributing to Airplane Geeks is Pieter Johnson who provides an update from across the pond. If you have never listened to the Airplane Geeks Podcast I encourage you to give it a listen today.